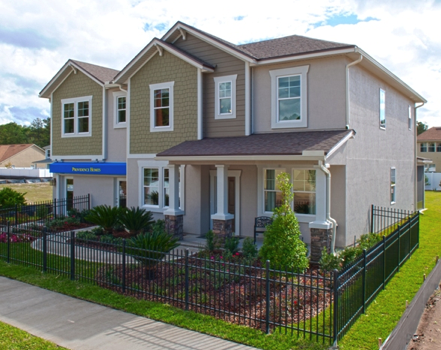 If you are looking for a fabulous new 100% ENERGY STAR Certified Providence Home in Victoria Lakes, you had better move quickly. Providence Homes is down its last available home site in Victoria Lakes. This gorgeous lakefront site is conveniently located at the front entrance of the community and won’t last long! Providence Homes offers several 100% ENERGY STAR Certified floor plans starting from the $160’s that include one of our best options incentives of the year! For more information, contact Gen Odell at 904-288-0913 or click here.